She might be looking for love on Love Island, but Darylle has already proved she knows how to work a wedding dress. 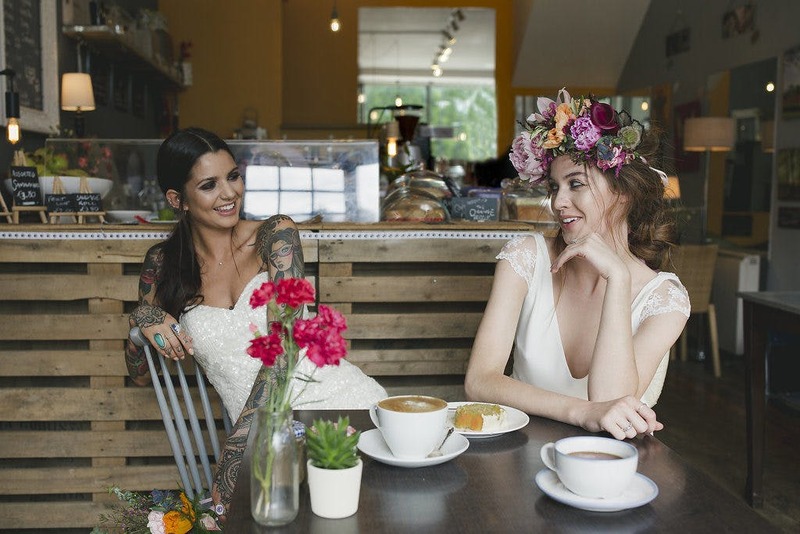 We found these gorgeous photos of Love Island’s Darylle modelling for bridal boutique Halo and Wren on a shoot centred around the modern independent fashion-forward bride. The flowers come from renowned florist Herbert and Isles and their gorgeous bold colours and striking flower crowns look amazing on her. We’re obsessed with her stunning makeup done by Georgia Shults and beachy waves and sleek low pony by Tiffany Birgin. She wears simple and elegant silk separates by Marquise Bridal and a more detailed gorgeous beaded lace gown, both from fantastic boutique Halo and Wren and accessorised with rings from Just a Ring Thing. The other model is Emily Mitchell, a young makeup artist and model. 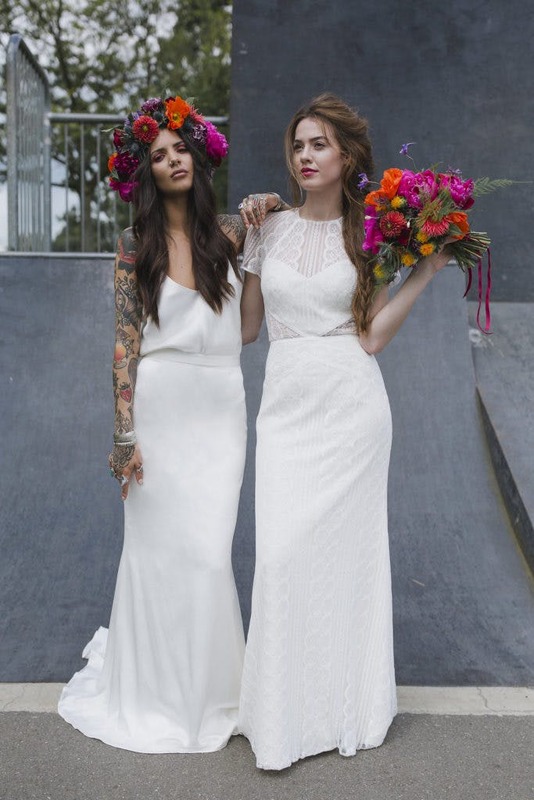 Both have very different styles but look stunning in contemporary bridal looks, styled by Sophie Lake. It might not have worked out with Adam, but we wonder if one day Darylle will be wearing that dress for real.